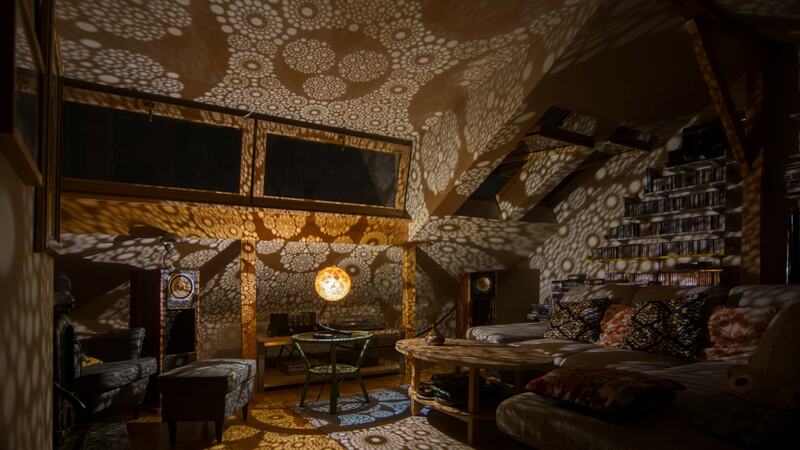 The light of this complex, fractal-like pattern with evolving symmetry, shines through over 20 thousand holes. 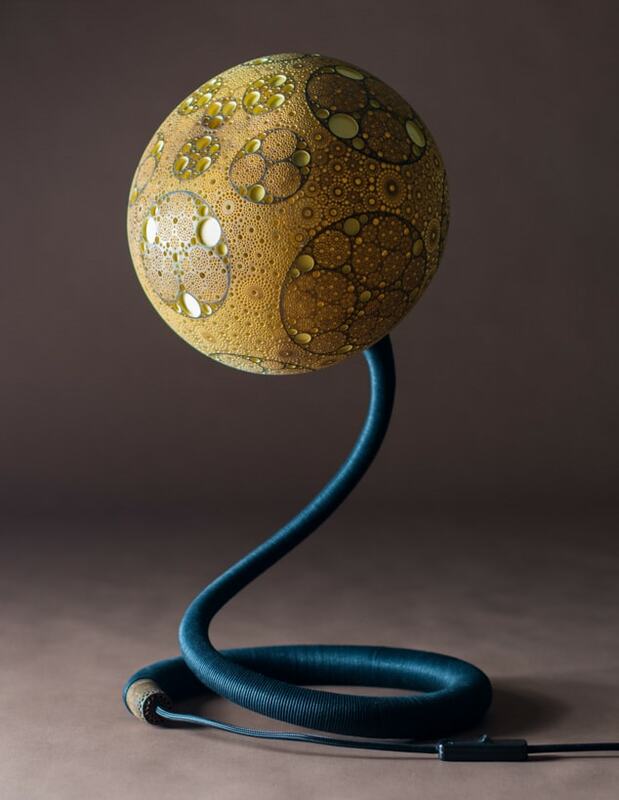 As the result, the mesmerizing light patterns of this handmade table lamp cover every surface within the range of the light. 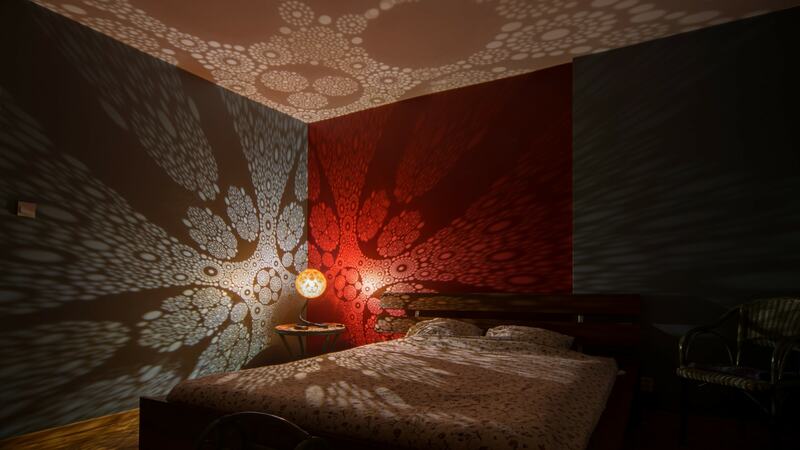 Cantamena is a perfect lamp for the bedroom, putting a spell and transforming it into an otherworldly place. In a flash it creates a magic atmosphere and mood. 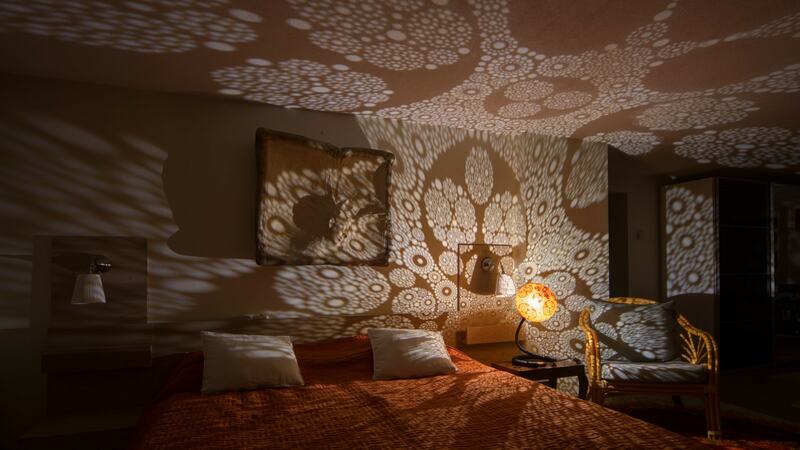 For me, this lamp is definitely a new step in the art of light. Cantamena reflects the beauty of symmetry in every detail and at any scale. 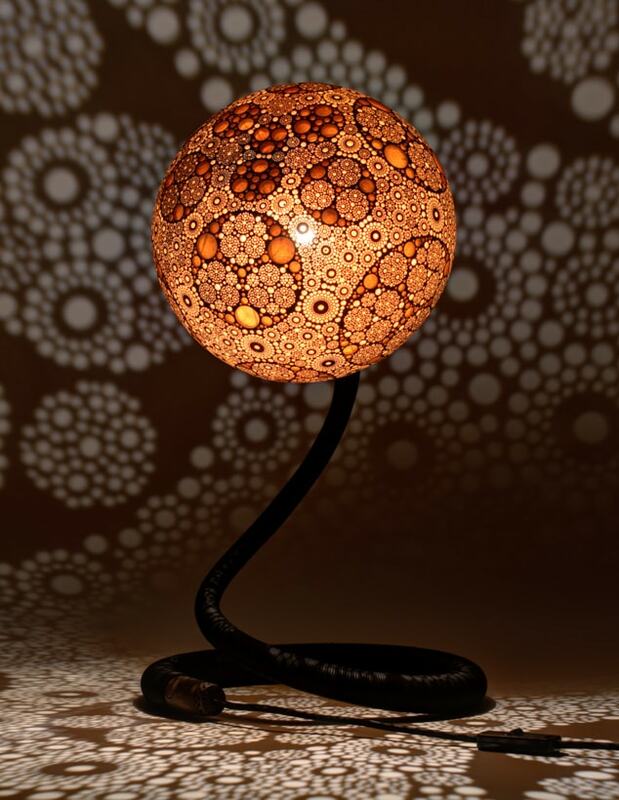 The big circles evolve from the top of the lamp according to the same principle. What’s more, they refer to the complex, perforated pattern which surrounds them. As you can see, the perforation contains dozens of the intricate smaller and bigger circles. 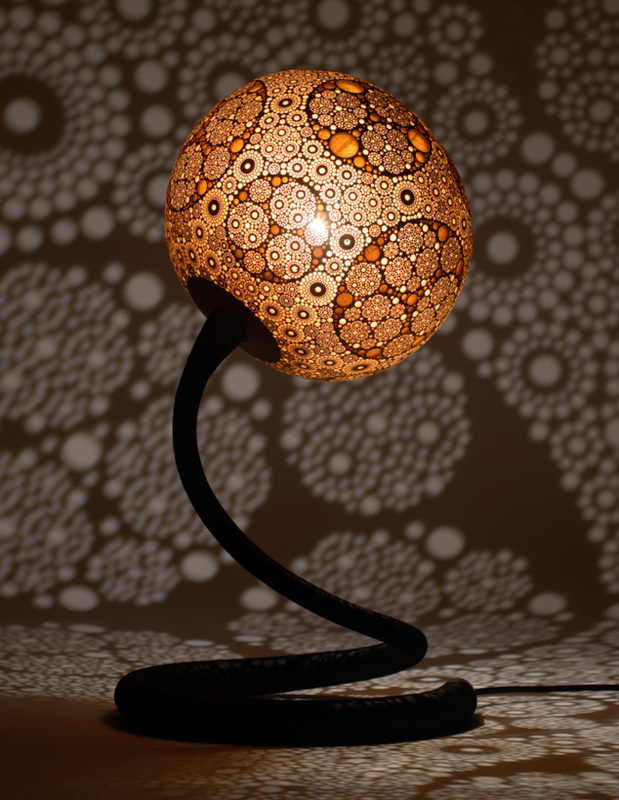 In fact, there are 321 circles of 43 different types (depending on the size and type of the symmetry). 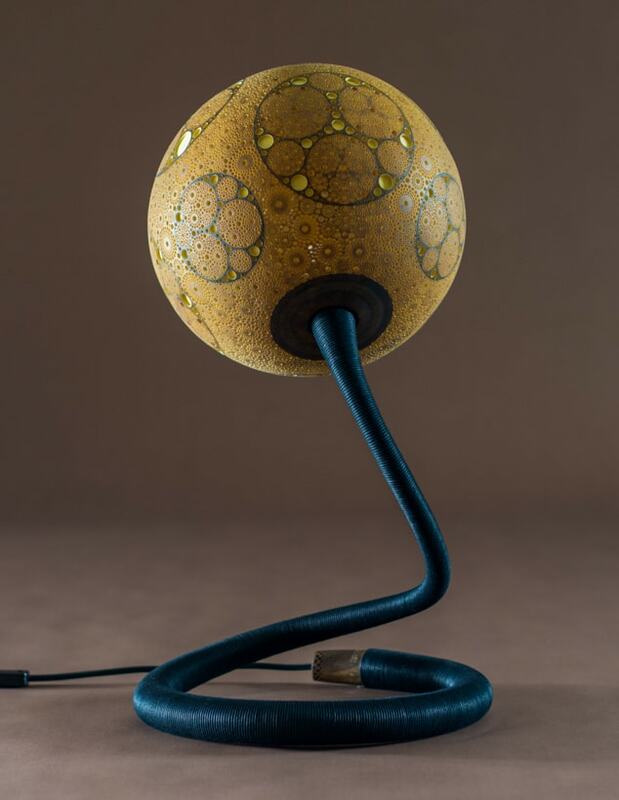 This unique lamp is covered by exactly 20,042 holes of 18 different diameters. 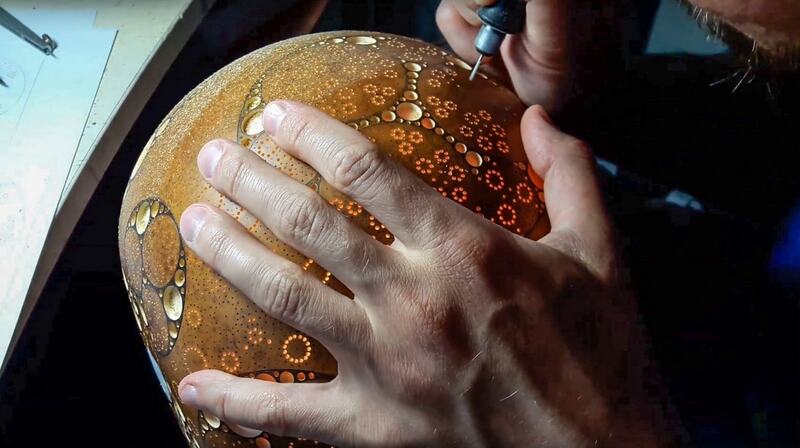 To achieve the best light effects they had to be drilled precisely in the direction of the light source. Also, the place of every single hole was well-thought-out and marked. Creating so intricate pattern containing hundreds of circles with strictly determined placement, was a truly pleasant challenge for me.